I decided to study abroad in Berlin on a whim. As senior year loomed large, I was bored with course prospects and unenthused at the thought of falling back into the same routine. The FSA program would provide a ready-made GEC (a requirement that I, like many seniors, was scrambling to fulfill), plus it forced me to take courses I would have never considered and shake-up the comfortable lifestyle I’d fallen into at Bates. Descending through clouds towards Schönefeld airport on an August morning, I gazed out the airplane window in disbelief. We’d been told that Berlin was one of the most populous cities in Europe, that its famous skyline included the 370-meter-tall Fernsehturm, that the expansive metropolitan area was nearly ten times the size of Paris (as my mother excitedly read from a New York Times “36 Hours” travel segment while I shoved clothes into my already bloated backpack). And yet, all I saw was green: farm fields, occasional rows of trees, and gentle rolling hills punctuated by the occasional cluster of houses or wind turbine. No skyline or urban sprawl in sight. 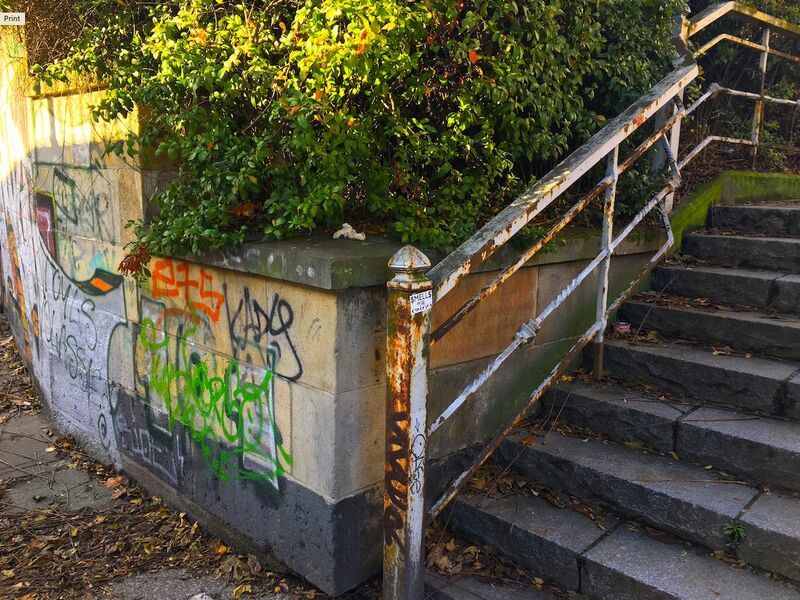 It was obvious from that first impression that Berlin would take any expectation I might harbor and kick it to the curb. At first, that was a tough pill to swallow. I struggled in the required German language course and spent much of my free time cooped up in my (admittedly beautiful) homestay, occasionally venturing outside to buy 3€ bottles of wine at the organic supermarket around the corner (they were about as awful as you’d expect). Stumbling through interactions with cashiers in the Späties or fellow commuters on the U Bahn wore me out. Berlin, I figured, was just SO nicht für mich.
And then, in mid-October, one of the FSA courses began discussing the influence of the Bauhaus school on German art and architecture. A few days before departing for Berlin, I’d visited the Fogg Museum on the Harvard campus in Cambridge, MA. I recognized names László Moholy-Nagy and Mies van der Rohe from the Fogg collection, and was shocked by my affinity for the funky furniture and enthusiasm for the material. 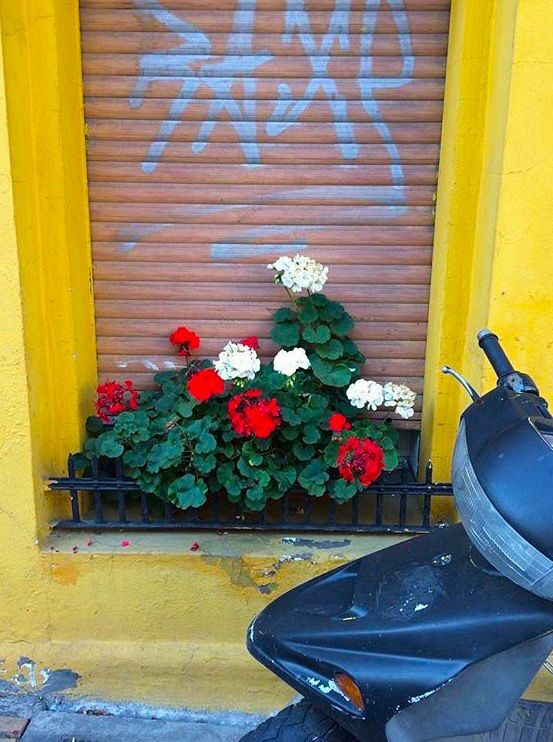 When a professor suggested I visit a Bauhaus housing development in Berlin’s outer neighborhoods, I surprised myself even more by bailing on a weekend trip to Rome with some friends to stay in Berlin and explore solo. 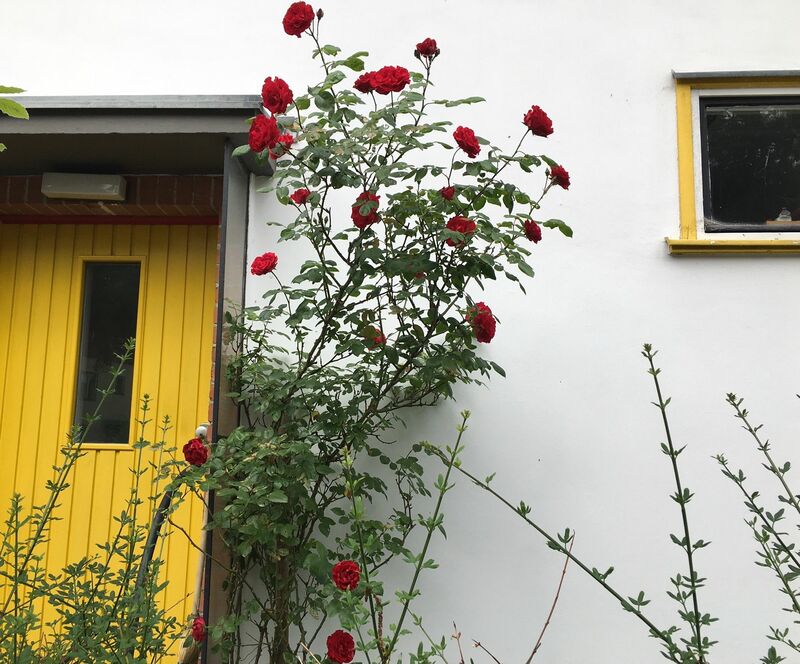 The colorful corners of Bruno Taut’s Onkel Toms Hütte neighborhood brightened that grey autumn afternoon: window trim painted yellow and red, boxes of geraniums and late-season roses, patches of blue and green graffiti on the stucco walls. Picking up on those details signaled a sea change in the way I approach the urban environment. It’s a feeling I’ve been chasing ever since. I’m incredibly lucky to have returned to Berlin for two extended stays in the two years since that weekend. Each time I’m in the city, I block out a free day and pick a Kiez I’ve never visited before. 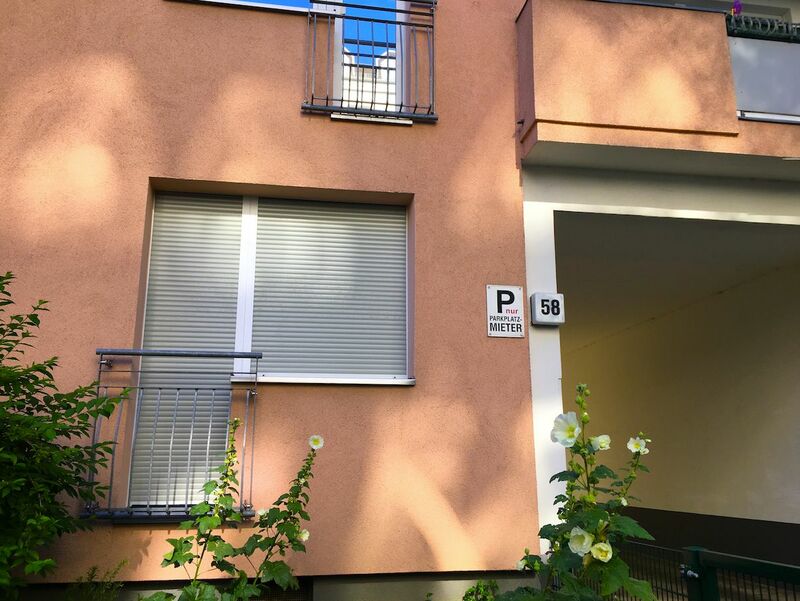 Serendipity is the best way to explore, and on my walks I’ve stumbled across rose gardens in Buch, Peter Behren’s AEG turbine factory in Moabit, Brutalist churches in Schöneberg, and the house that Rosa Parks grew up in (really!) transplanted to Wedding. I’ve returned to the green areas near Schönefeld airport and delighted in watching the city dissipate into rolling fields through the S-Bahn window. While searching for the Weißstadt housing development in Reinickendorf I was surprised by the number of low-flying airplanes overhead. As it happens, the street I was following is directly aligned with Tegel airport’s runway. I spend a good part of that afternoon lying on my back in a park, watching jets buzz fifty feet overhead. The magic of Berlin, and the magic of the FSA, was equally serendipitous. 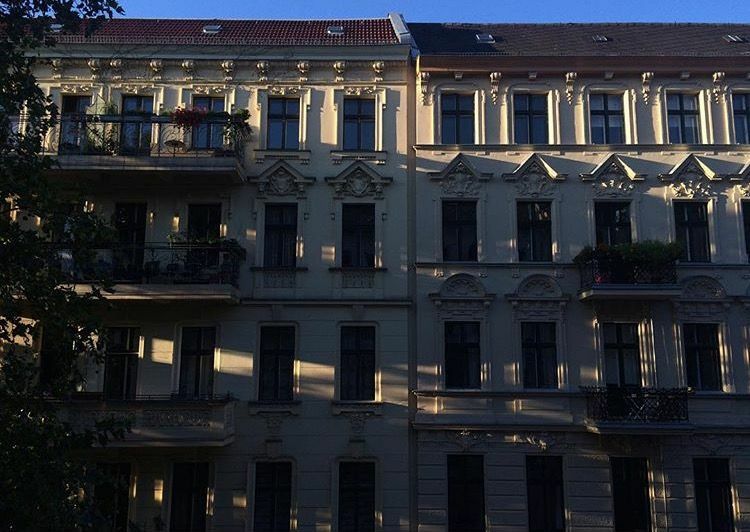 I’m writing this reflection as I procrastinate on applications to graduate school, where I plan to continue studying architecture and urbanism in the unique style I’ve cultivated in Berlin. I’m incredibly grateful to the FSA faculty for pushing me to see the world differently, and I’ll be making my way back to Berlin for the rest of my life.